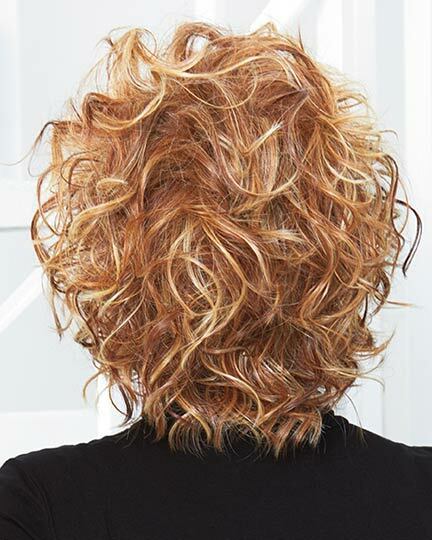 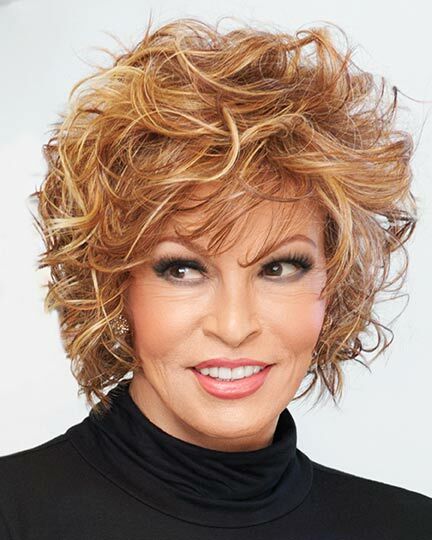 Front: 10.0", Crown: 11.5", Sides: 7.75", Back: 10.0", Nape: 6.75"
Chic Alert by Raquel Welch is an above the shoulder, stacked bob that has soft, loose curls which add volume and style. 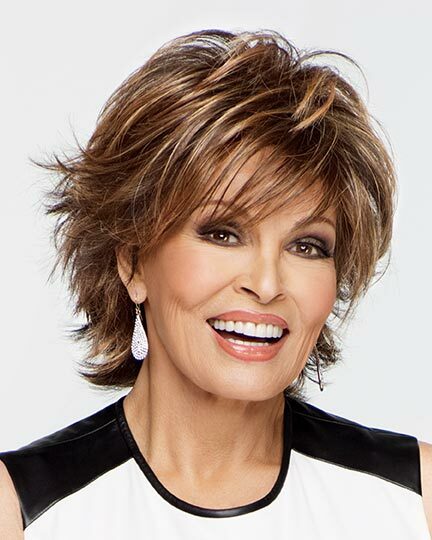 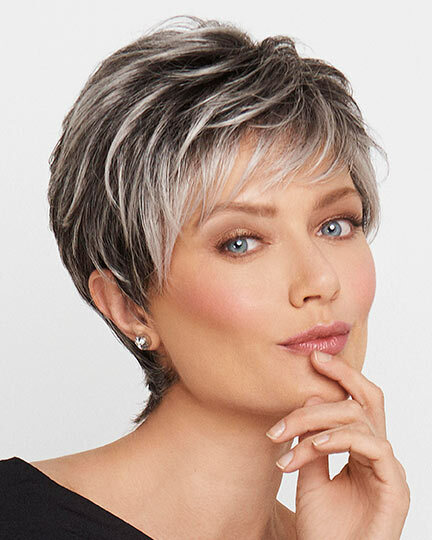 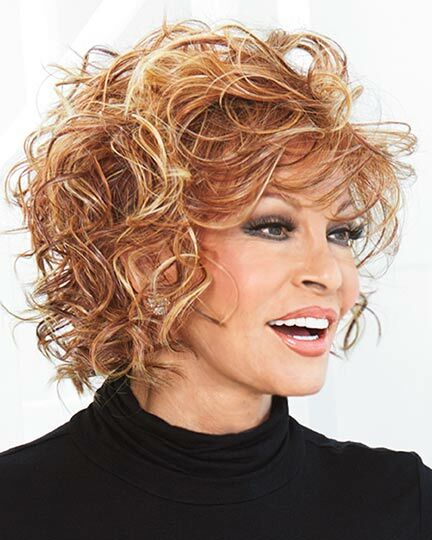 Raquel Welch Chic Alert wigs feature a Sheer Indulgence lace front cap construction allowing the bangs to be combed onto the face for softness or brushed back for a more cosmopolitan look. 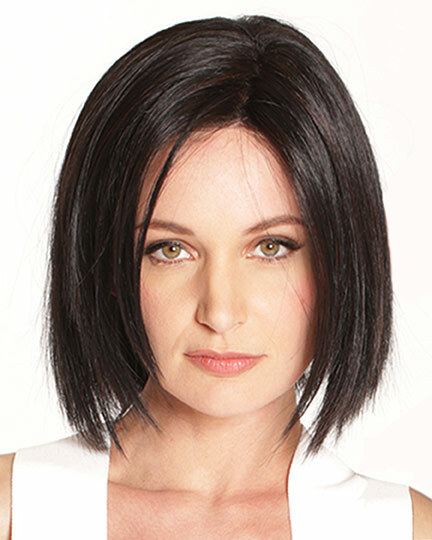 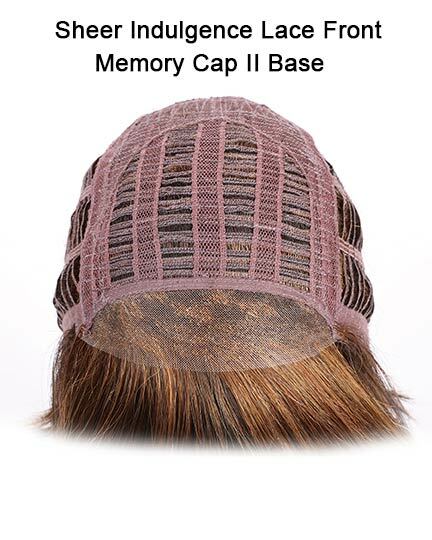 The Sheer Indulgence lace front cap combines a 1.0"-11.5" deep, virtually invisible sheer lace front for optional off-the-face styling with a patented Memory Cap II's fine, resilient stretch lace and velvet lined ear tabs and nape for a custom-like fit that is lighter and cooler than ever! 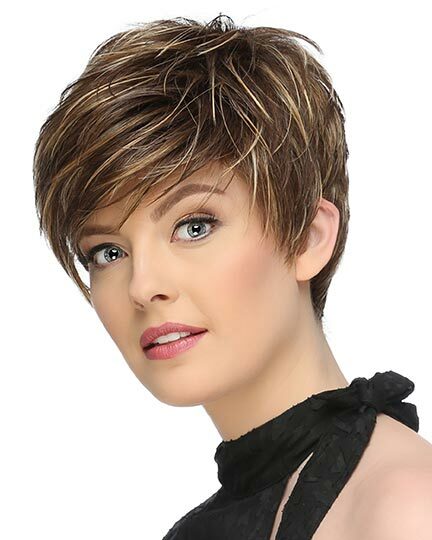 Chic Alert has Tru2Life heat friendly synthetic hair providing even more styling options. 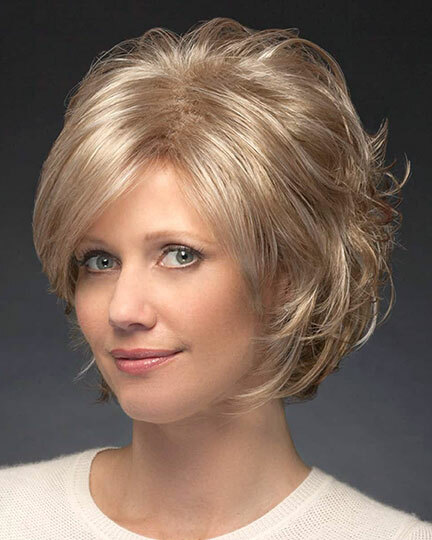 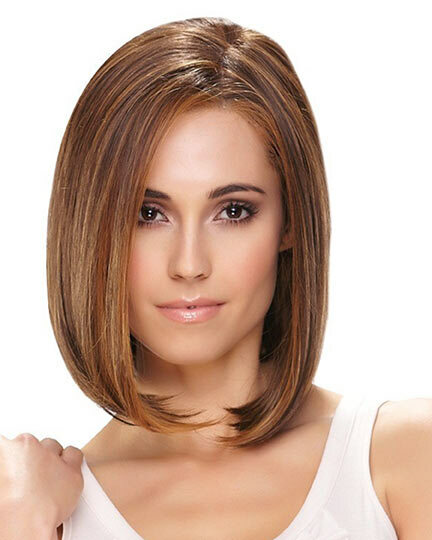 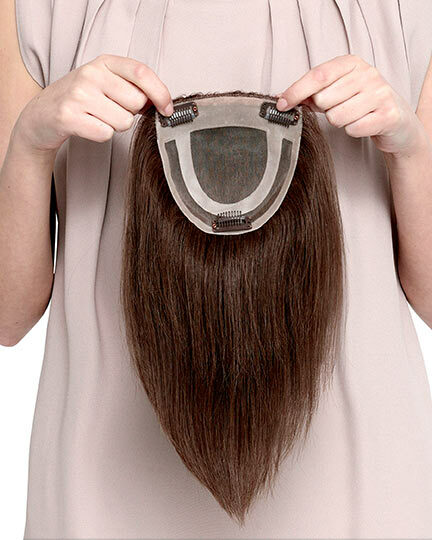 The Chic Alert wig weighs 94 grams. 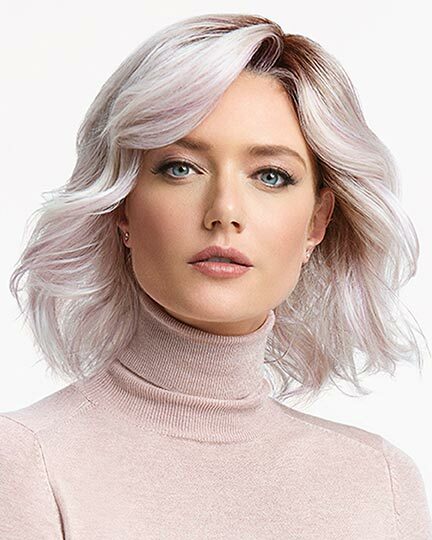 There are 26 colors available for Chic Alert. 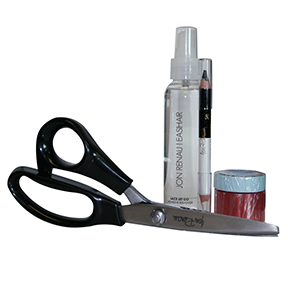 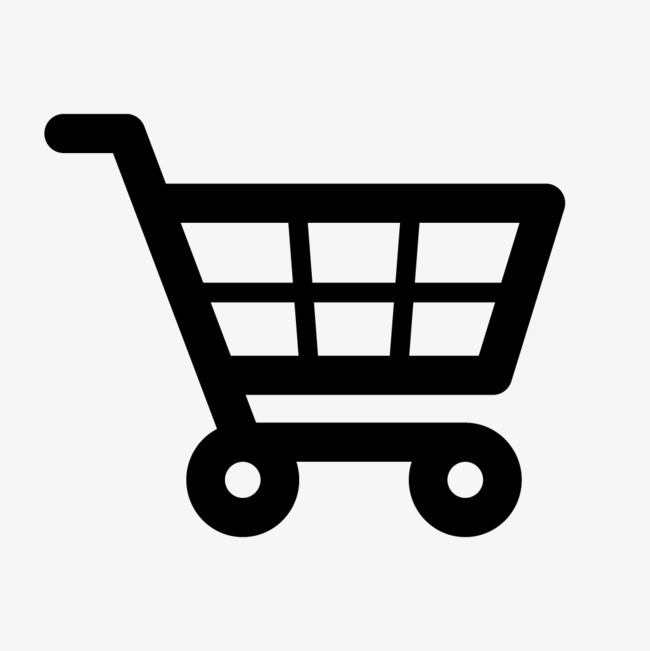 If you would like to discover other products that share some of Chic Alert's qualities try the links below.